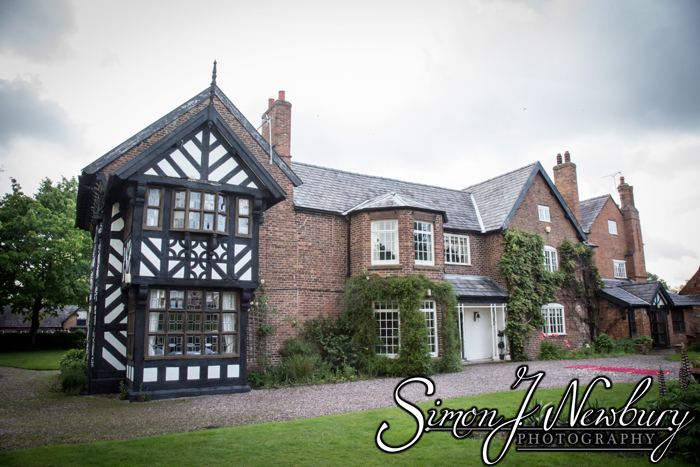 It was great to be back in the wonderful surroundings of Haslington Hall, near Crewe, Cheshire, for the wedding of Alison and Shane. 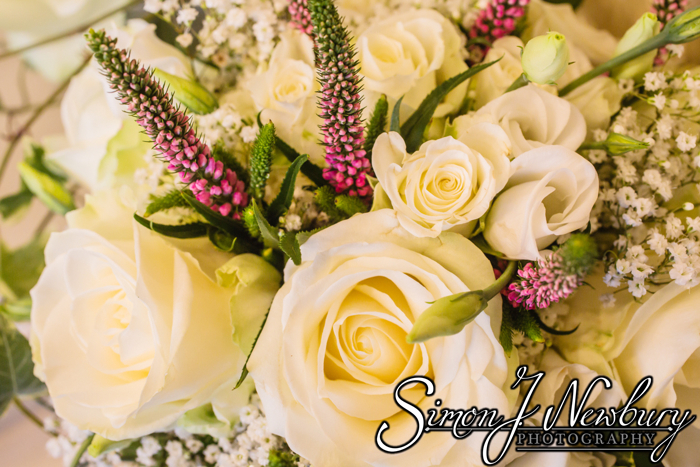 This wedding was photographed by Simon on his own as Tina was at a wedding over in Wrenbury – just one of the benefits of having two professional photographers in the business! 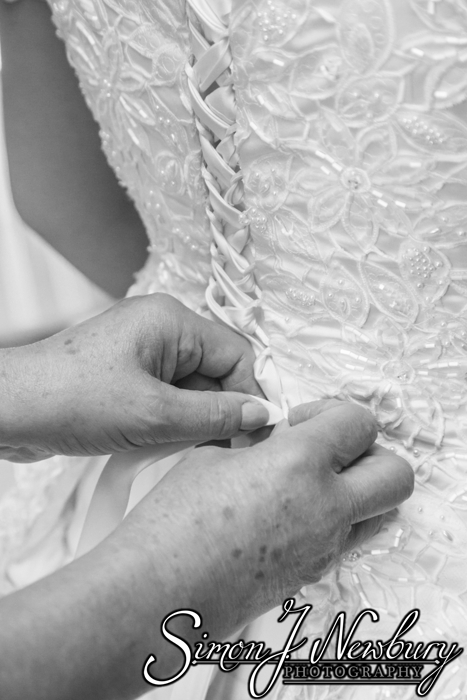 The photography started with all the bridal preparations including photographing the wonderful wedding dress. 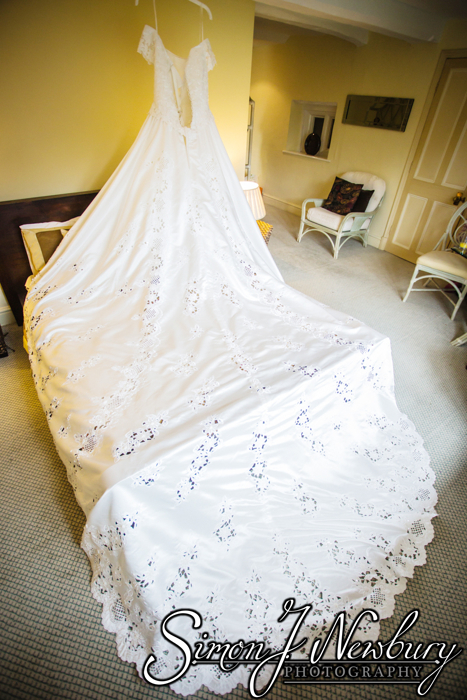 It was probably the biggest wedding dress we have yet photographed and it looked amazing laid out over the double bed upstairs at Haslington Hall. 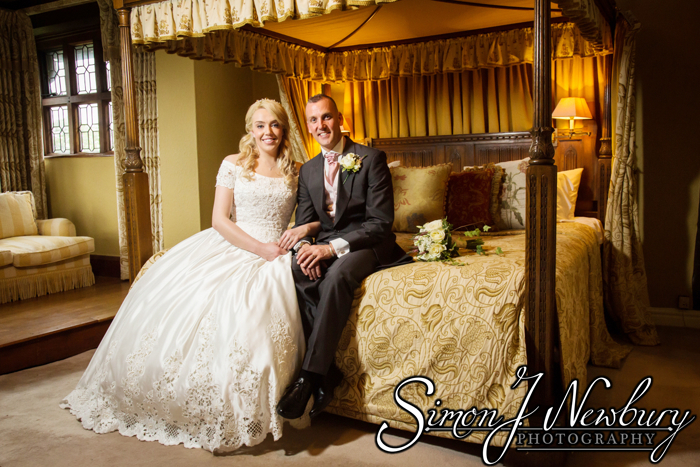 Thankfully the dress could just about fit into a photo with the wider angle lens! 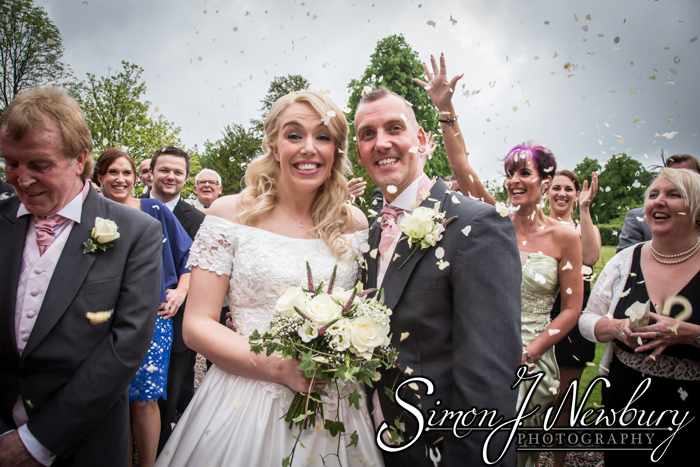 The ceremony took place indoors at Haslington Hall due to the inclement weather. Thankfully we had a few moments of opportunity for the group shot to the rear of the hall. 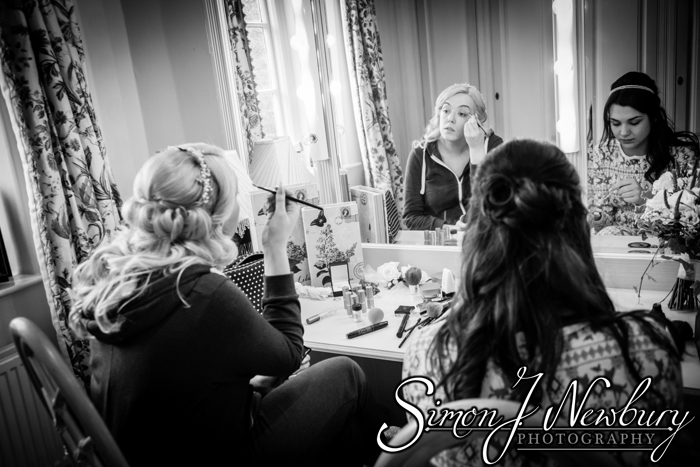 We made use of the beautiful rooms inside Haslington Hall for the couple shots after a few shots outside with the bright green Crabbies van that came along to help the bride and groom celebrate, complete with sunglasses, hats and flip flops! 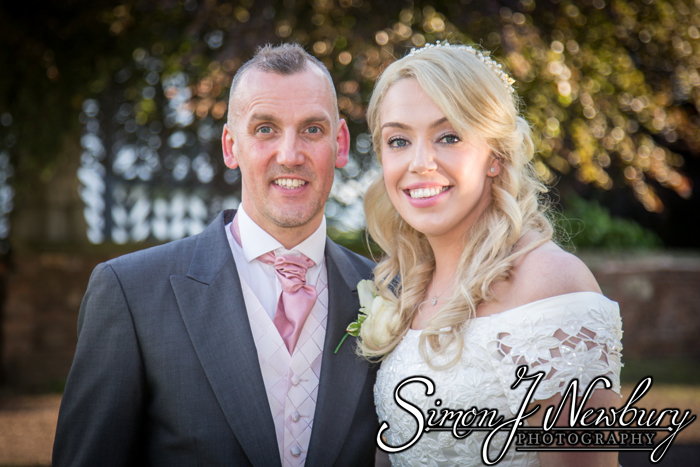 Shane had met Crabbies at the Grand National where he had his stag party! Simon photographed well into the evening after the speeches and wedding breakfast. The evening was rounded off by a double set by local Bruce Springsteen tribute act Glory Days. 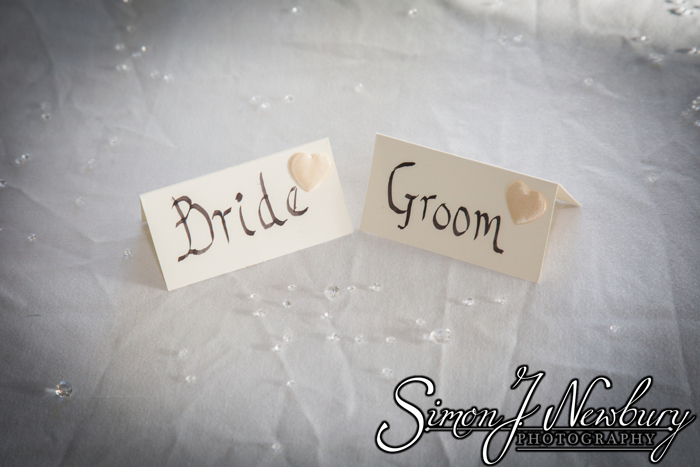 Simon J. Newbury Photography is a class above the rest, we were extremely impressed with every aspect of the friendly and professional service together with great attention to detail. 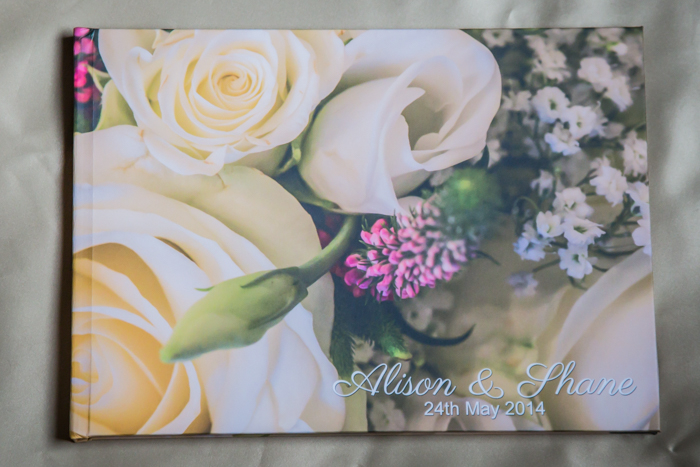 A thoroughly bespoke package, with a breathtaking album which we will treasure forever. Highly recommended.